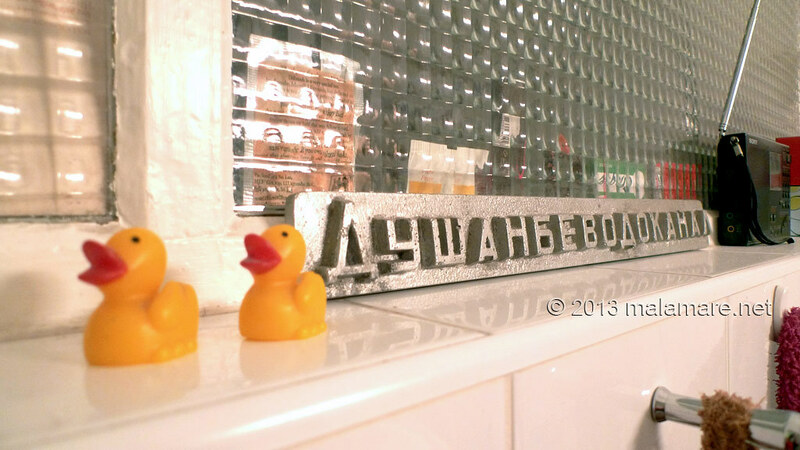 Posted on 12 May 2013 and filed under Miscellaneous. I was in Vienna two weeks ago. For a very short break, visiting my friend Andreas. First, he was throwing a birthday party. It was great, I enjoyed it a lot and I was glad to spend some time with people that I haven’t met for a while. Second, Vienna is a beautiful city, with so many things to see and do. Third, I love Vienna, and as I have not been there for maybe two years, I missed it and I missed all the places I love to see and visit. I stayed for three days only, so time had to be used wisely. In other words: as little sleep as possible, as much time on my feet walking around the city as possible. 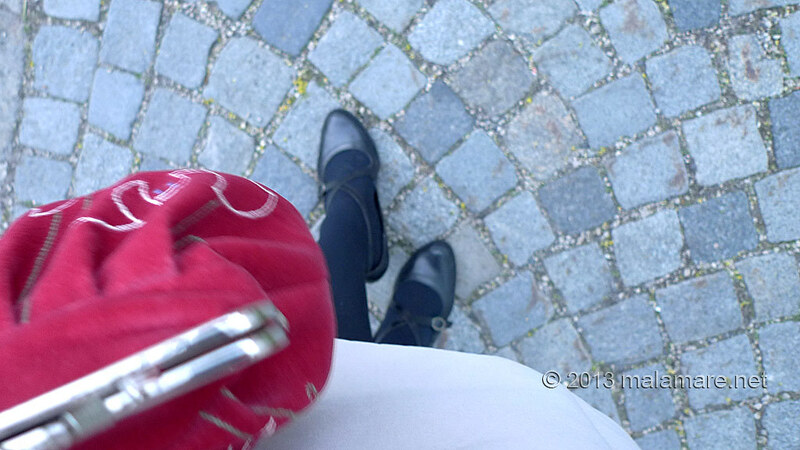 As I arrived the evening of the party, I started my Vienna walks immediately after the party: at dawn. An hour long walk from the party place to my friends place. Along Donaukanal, meeting just a few people. Fresh morning air and the city waking up and getting into its daily rhythm, I love that. 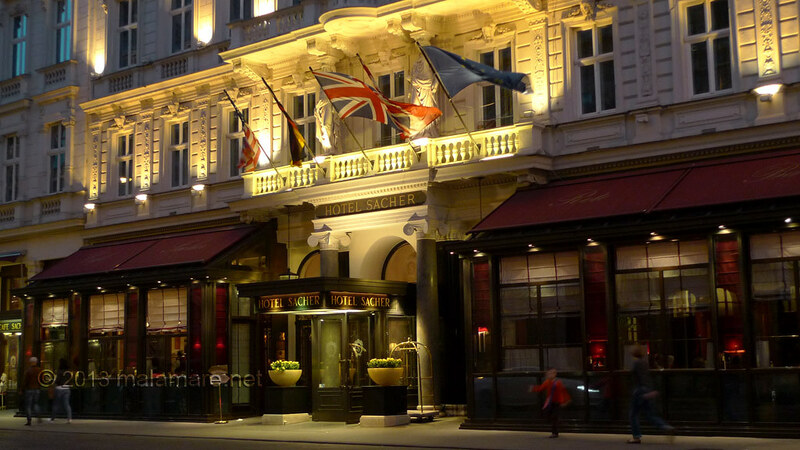 Here are some sights from my Vienna walks, my Vienna photo gallery. 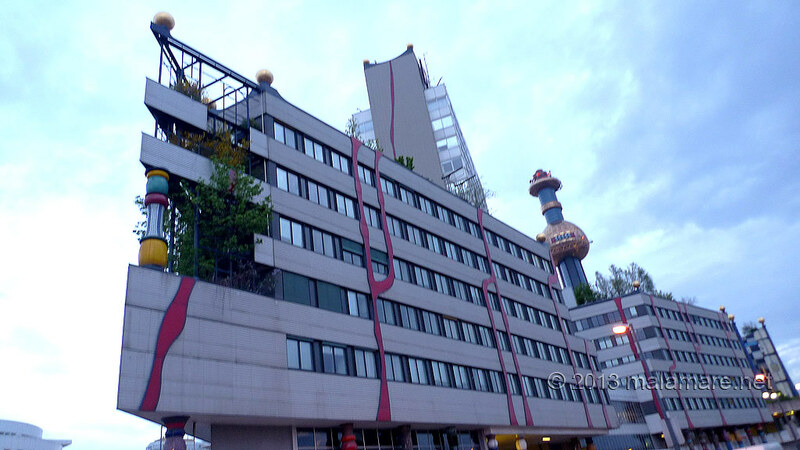 The party took place very close to Spittelau waste incinerator-heating plant, redesigned by Friedensreich Hundertwasser. 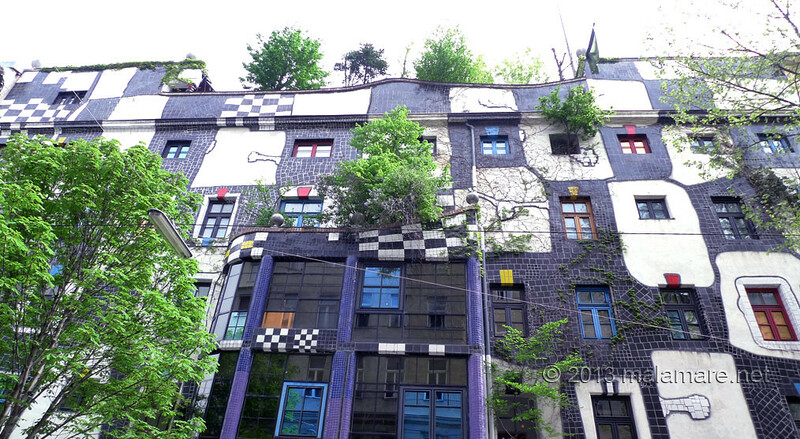 If I say that I am a big fan of Hundertwasser’s work, do I need to add that I spent quite some time observing it closely? Then I continued along the cobblestone pedestrian path along the Donaukanal. With my new bats purse. 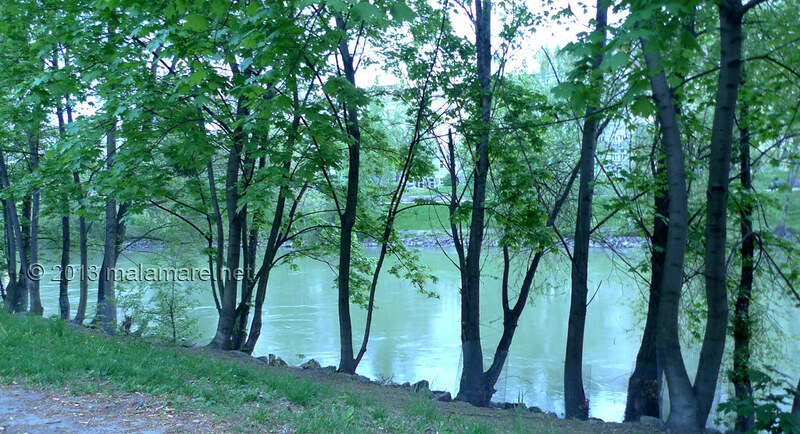 Trees along Donaukanal and the scent of river and trees, especially willow trees. 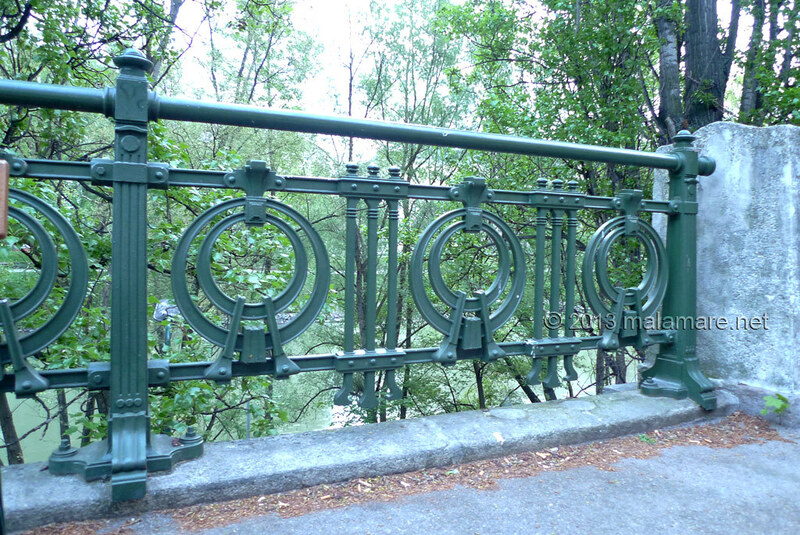 Steel fence along the Donaukanal, so simple and so elegant. Sunday afternoon at Wirtshaus am Wasserpark, just before people started coming for late afternoon or early evening dish. Sepp, my ex-boss, is the owner of the restaurant. Through the years, we have eaten at many places together, and it has always been a pleasure for me to ask him to choose a dish and a drink for me. Enough said. 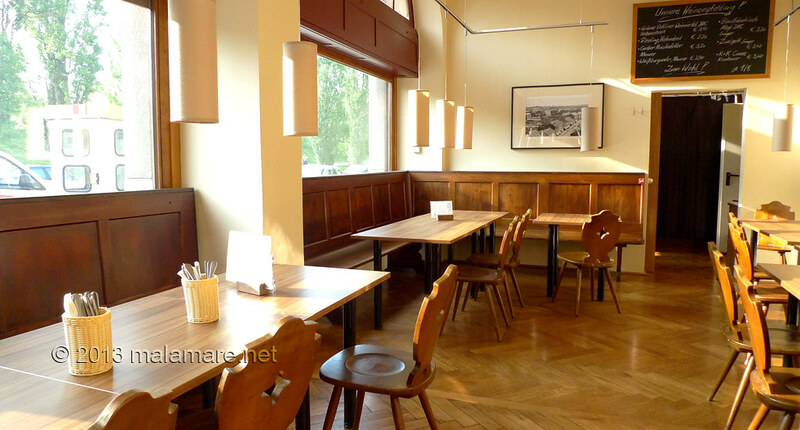 Go and enjoy typical Viennese cuisine at his place yourself! Or have a beer outside. 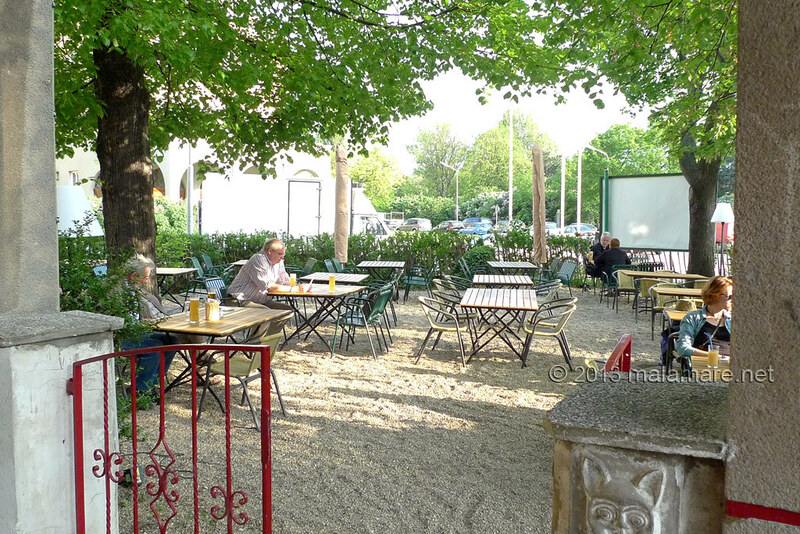 Wirtshaus’ terrace: linden tree shade. Staatsoper (State Opera) at dusk. 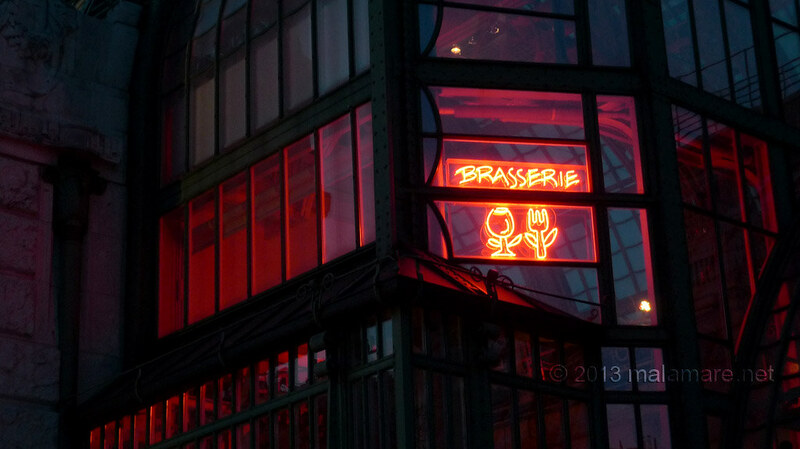 Just the perfect time to admire delicacy of the lighting that makes the building even more beautiful. Hotel Sacher. Never stepped inside, but I am very familiar with Sacher cake. Palmenhaus, the sign for the restaurant inside of it. 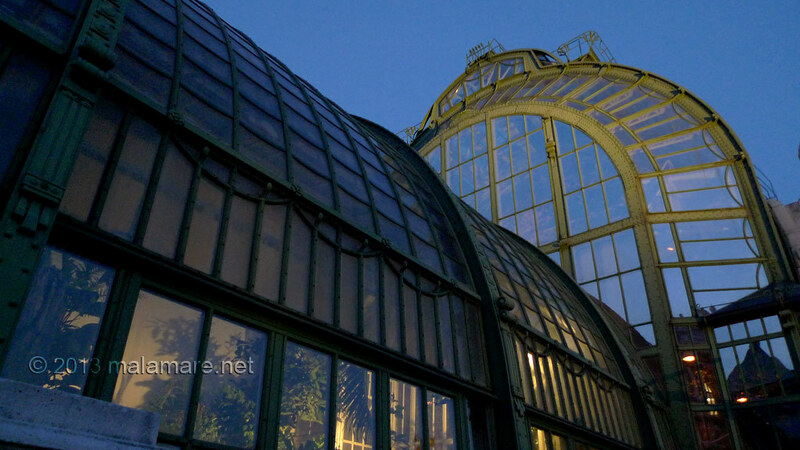 Palmenhaus, a view from another angle. I admire steel and glass constructions. 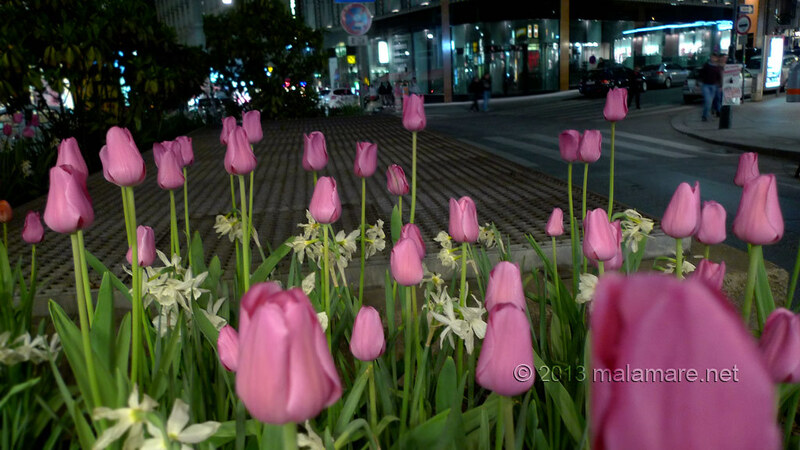 Pink tulips and white daffodils in the city. At home tulips just finished blossoming, here they were still in full bloom. 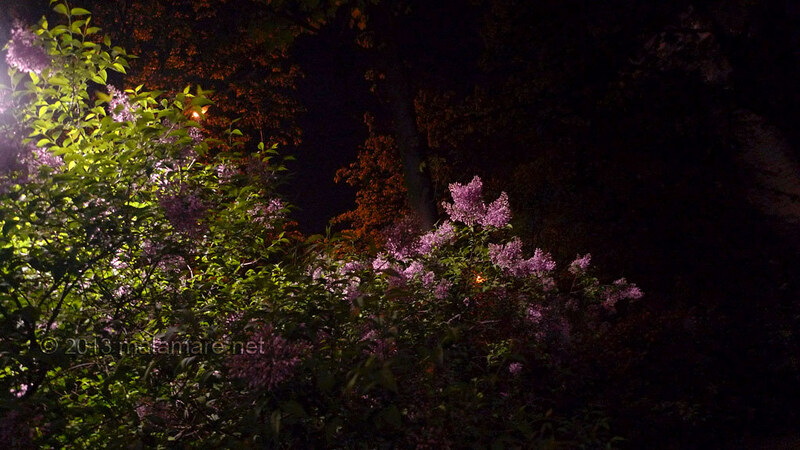 Lilacs at night. A lot of lilacs in the city, as they are in full bloom every now and then the air brings you their fragrance. Tree tenants at the Kunsthaus, Hundertwasser’s museum and a gallery. 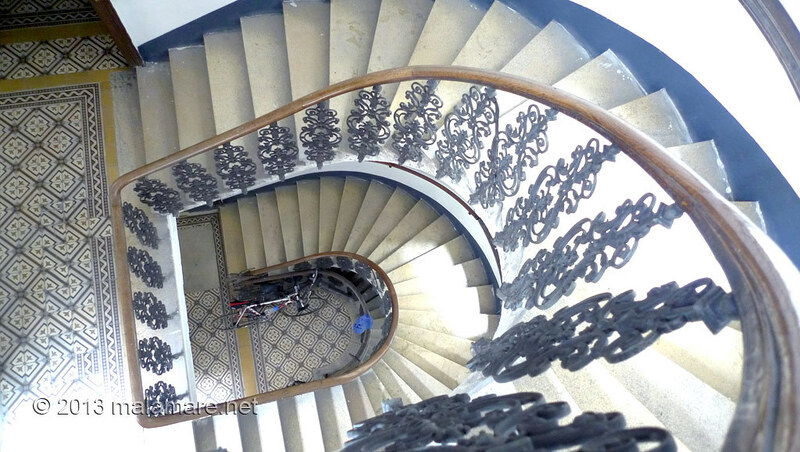 More about the Kunsthaus in one of next posts. The terrace of Dunklebunt cafe-restaurant, on the other side of the building. 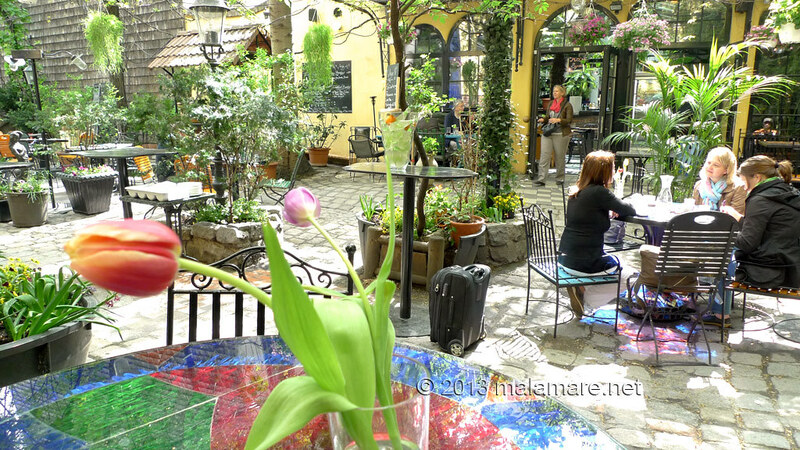 Beautiful and tranquil place, I never miss a chance to enjoy an espresso there.